Spiritspatula, that was crazy helpful. :) Thanks so much for taking the time to explain all of that. It made perfect sense to me, and I agree completely. I have a knack for boring pictures, lol. I'll get better someday. I'm going to separate my comment into two parts- one discussing the idea of DNMC and one about the photo itself, separate of that. You mentioned that you would like closer guidelines, but the idea of DNMC has nothing to do with guidelines themselves and everything to do with how they are interpreted. It has to do with what voters think of when they consider a subject. Consider the challenge "Coffee." If somebody were to enter a shot of a container of creamer, sure, it's related, but when you first think Coffee, is creamer the summation of the thought? Even if it is, you need to consider what everybody else would conjure up from the prompt, and it's not very likely that the majority of people, when given the prompt "Coffee" would think of creamer. If you extend this to your photo, sure, flowers are necessary to the prompt, but you don't depict things that are integral to the concept in people's minds (namely, honey or bees). I certainly understand where you're going with this, and idea-wise, it's good, but if it weren't for your title, this shot has very limited relation to the subject. A strong piece will speak for itself, it won't need to be explained by your caption. It's like a joke- a good joke shouldn't need to be broken down. But, people thinking things are DNMC is very fickle. Sometimes you'll see obviously DNMC photos take top honors in challenges, so you never really know. Sometimes people ignore DNMC when they feel the photo is THAT good. I like the lighting, and the fashion that it is lighter on one half of the frame and darker on the other, it pulls me to the focal point. But, the photo itself feels sorta static, as I'm pulled into the dead center of the photo visually, and then my eye stays there, and that's it. There isn't much else to draw me, or to add to things. Overall, there isn't a whole lot wrong with this as a photo of a flower beyond the fact that we've all seen lots of photos of flowers and this blends into those and feels unremarkable. Flower shots really have to wow to stand out. Often this is achieved by stunning or strange flowers (like this entry of mine, for instance, which surely scored higher out of peculiarity ). Another way is to portray the subject in a way we haven't seen, giving us something unusual and unique, a refreshing change of pace. For your image, we have have a view of lilacs which we are most all acutely familiar with. So, it's not so much as what you did wrong, so much as what you didn't do to make this stand out, and particularly coupled with many feeling your entry was DNMC. Keep at things and don't worry about the scores too much. Starting out here can be pretty hard, but once you get a little used to things it's a great place to learn. Message edited by author 2011-06-16 04:12:42. I can understand why it's DNMC... If the challenge guidelines had mentioned flowers, the challenge would have been flooded with them and there would have been fewer actual bees and less actual honey. I regret now that I didn't artisticly drip honey over the lilacs somehow... But again, allergic to bees, lol. You asked for help understanding why this didn't fit the challenge. I think I was a little abrupt in my first comment, but that really explains all those low votes. 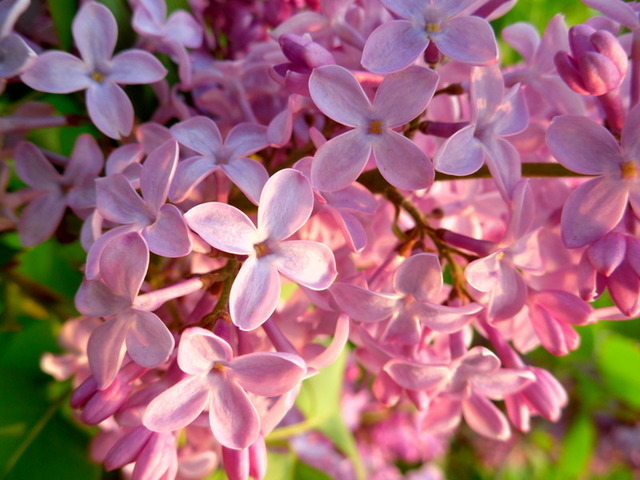 It is a very nice photo of the lilac, and judging by the number of high votes you received, many people thought your way of interpreting the challenge was valid. There is a group of members here that sometimes reward photos like this with an OOBie. It stands for Out Of the Box. It's for good photos that meet the challenge, but with a different approach or way of thinking than the majority of the entries. This should definitely be an OOBie contender, if the group is still awarding them. Weeelllll... I'm not upset over the way this placed, because I have never really cared one way or another. I do wish the challenge guidelines would have been more specific. All I read was: "A tribute to the missing bees." I didn't see anything that said the picture had to include bees or honey. When I think of bees, I think of flowers. My mistake, I suppose. Nice flower, no honey, and no bee = shoehorn. Beautiful flowers and lighting, but just didn't seem to fit with the theme of this challenge. Proudly hosted by Sargasso Networks. Current Server Time: 04/23/2019 04:24:23 PM EDT.